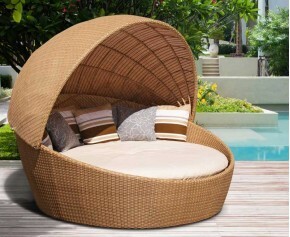 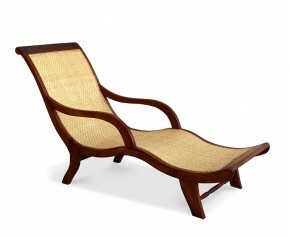 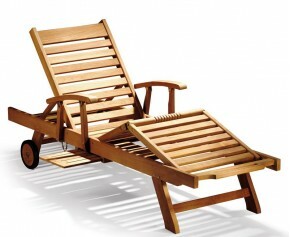 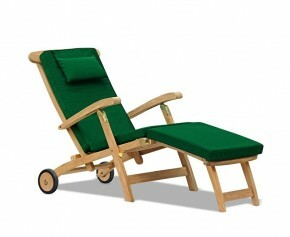 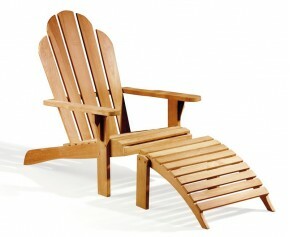 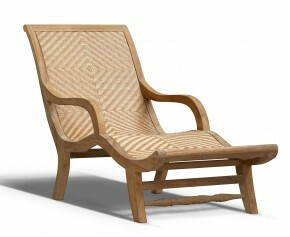 Sit back and recline in comfort with this wooden sun lounger. 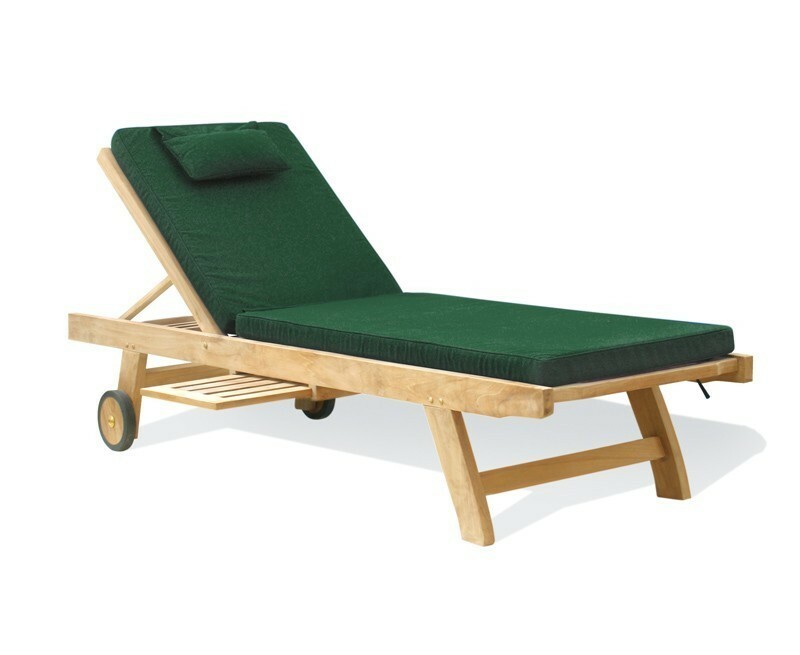 Offering a superb combination of practicality and style, this wooden sun lounger has been expertly manufactured in sustainable grade-A teak to ensure long life and aesthetic appeal. 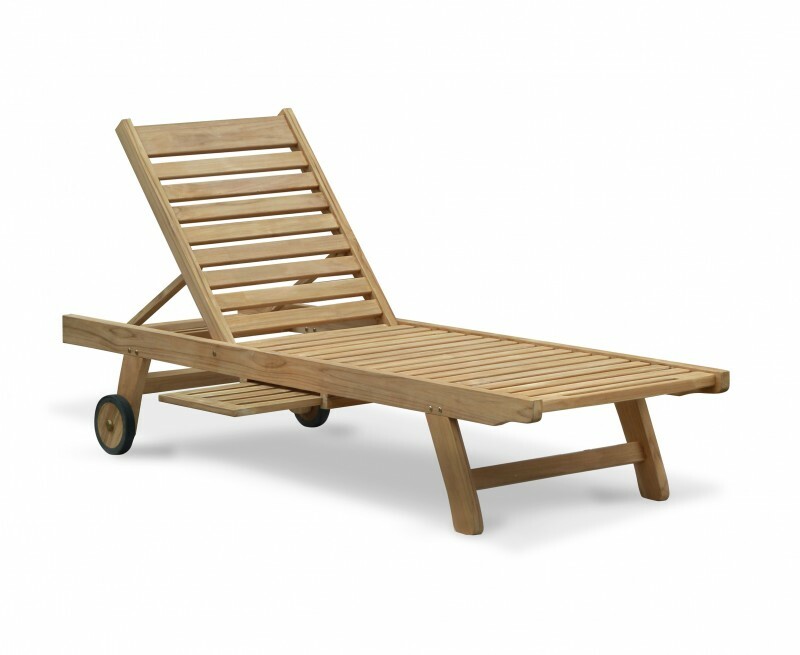 Featuring rubber clad wheels, a multi-position back rest, with five settings from upright through to a fully flat bed, and a sliding tray to hold your books, drinks and snacks, this teak garden sun lounger is a must-have item and would look stunning in any outdoor setting. 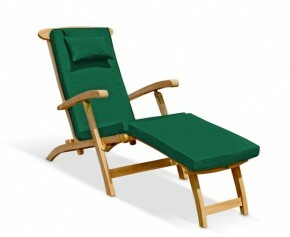 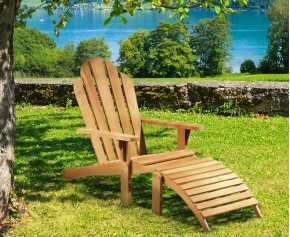 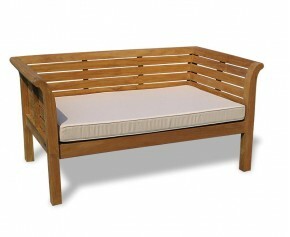 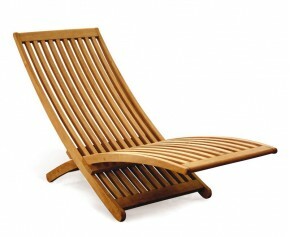 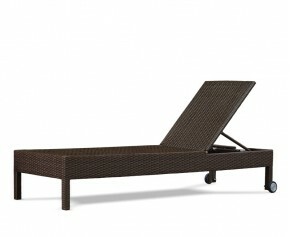 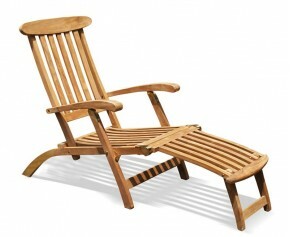 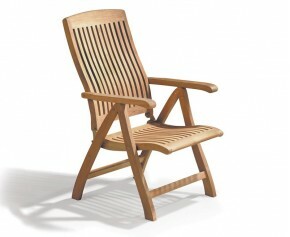 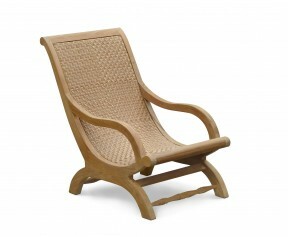 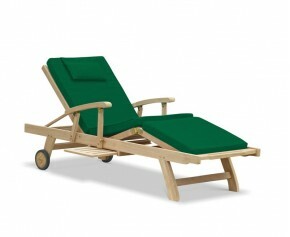 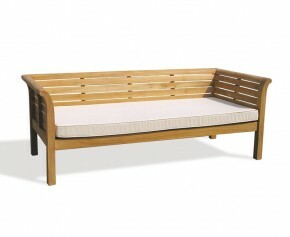 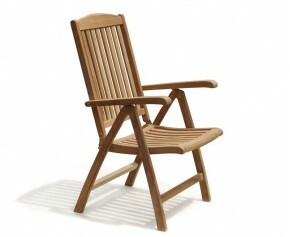 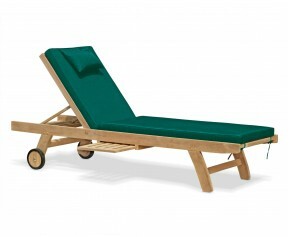 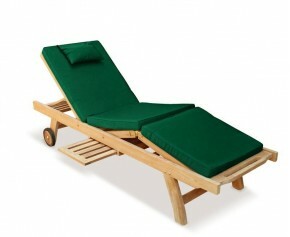 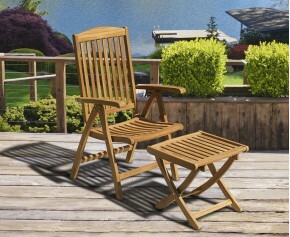 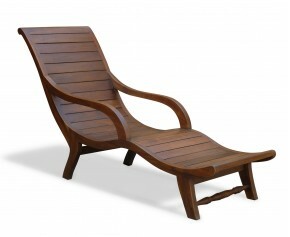 Cushion not included with this teak wooden garden sun lounger although it is available for purchase separately. 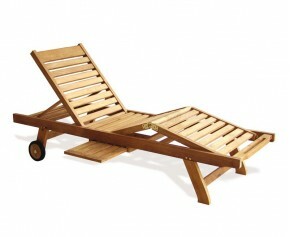 Delivered fully assembled – legs simply needed to be bolted on. 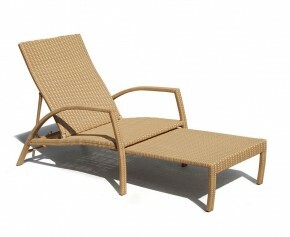 Get 40% off a matching cushion when you buy this lounger - for added comfort, style and savings.